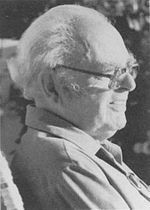 The Bart J. Bok Fellowship for Advanced Study in Astronomy and Astrophysics was created in honour of Bart J. Bok, director of Steward Observatory from 1966 through 1970. This three-year fellowship provides an opportunity for a recent Ph.D. recipient to pursue an ambitious program of research in any area of theoretical, experimental, or observational astronomy or astrophysics. All of the observational and computational facilities of the Department of Astronomy and Steward Observatory are available to the Fellow, who is encouraged to conduct independent research and to develop collaborations with faculty, staff, and students. The Bok Fellow will receive an annual stipend of $65,000 per year, as well access to a generous research fund to support their scientific program. This 3-year Fellowship commences in fall 2019. Candidates must have completed all requirements for the Ph.D. in Astronomy or a related field before the start date of the Fellowship. Applications should be submitted online through https://uacareers.com under Job Posting #P20692. To complete the application, please follow the instructions under the heading Special Instructions to the Applicant. Submissions should include a cover letter, CV, list of publications, statement of current and proposed research and instrument development (5-page limit). You will need to provide names and email addresses for at least three references who will be automatically contacted upon submission of your application. Questions may be directed to Prof. Dan Marrone, the postdoctoral program coordinator. Review of applications will begin on December 3, 2018. The Astronomy Department and Steward Observatory have a highly-valued culture of collegiality, respect, and collaboration among its members. We welcome candidates who will contribute to this positive climate and to our ongoing efforts toward increasing the inclusivity and diversity of our community. Benefits include health, dental, vision, and life insurance; disability programs; paid vacations, sick leave and holidays; paid parental leave; tuition reduction for employee and qualified family members. For details visit: http//www.hr.arizona.edu/benefits. Applicants will be considered without regard to U.S. citizenship or national origin. The University of Arizona is an EEO/AA - M/W/D/V Employer.